Celebrating five years of Hip-Hop Cinema, Education, Art and Culture, the H2O [Hip-Hop Odyssey] International Film Festival (H2OIFF) showcases a kaleidoscope of Hip-Hop filmmakers and communities from around the world. Taking place from May 28 – June 15 at the ImaginAsian Theatre in New York City and culminating with the hallmark Odyssey Awards hosted by Ed Lover and Paul Mooney at BB Kings Club and Grill on Saturday, June 16th. Over the course of three weeks, H2OIFF will screen over 80 films from over 10 countries; produce 9 panel discussions on topics ranging from social justice issues to spirituality to the future of media distribution. The festival is set to begin with a special pre-launch screening of Rock the Bells and an after-party hosted by Bobbito Garcia at the APT. Hip-Hop aficionados will enjoy movie screenings, and in addition there will be numerous opportunities to engage in discussions with industry experts, artists, activists, educators, entrepreneurs, and filmmakers. There will also be full days devoted to the youth, women, social justice, Hip-Hop history, and the craft of filmmaking, and self-distribution. 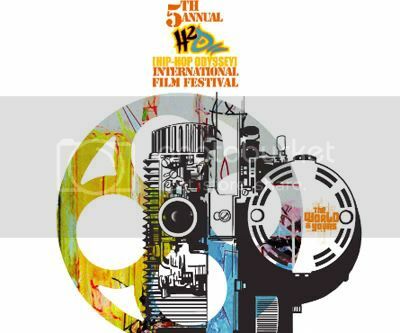 For more info on the 5th Annual H2O International Film Festival, including information films, events and tickets sales, please visit www.h2oiff.org.